Here’s why, equipped with a unique Rising Front Camera and other high-end features packed tightly into a superbly designed smartphone, the OPPO F11 Pro is the best value for your hard-earned money at just Rs 24990. From dual flashes to the resurgence of curved screens and more, every now and again you come across a phone that leads the next BIG trend. We think the OPPO F11 Pro is the next big thing. So, let's dig in and find out, shall we? As one of the sleekest designed phones on the market in the sub-Rs 25,000 price segment, its 6.5-inch Panoramic Display makes it a real eye-catcher. With a stronger sensor that prevents unintended activation, a 90.90% body-to-screen ratio and Nano Printing that creates effects like ink-wash paintings, we can all agree that these are big, flagship features for a very competitive price! This stunning phone is BIG on the camera! By this, we mean that with the F11 Pro, you get dual rear camera setup and a single selfie camera that rises up from its sleek enclosure. The dual rear camera setup has a whopping 48-megapixel main camera and a 5-megapixel depth sensor! If that doesn't blow your mind then try some low light photography to really see what this camera can do. With a 48 MP AI Ultra-clear Engine, it combines 4 pixels into 1 so that the single photosensitive area is increased. This improves the light-sensing ability and captures more details so that you get a stunning picture every time. At 16 MP the high-resolution Rising Front Camera is also perfect to click selfies with a natural finish. What more can you ask from a camera? AI Scene Recognition makes certain that the photo is as close to perfect as possible, post-optimization. Snap away without worrying about processing hundreds of pictures later. Another update is that there are many scenes including the night scene, sunrise/sunset, food, document, landscape, baby, dog, spotlight, portrait, multi-person portrait, micro spur, backlight and more to keep you click happy. If you're looking for a phone that really brings its A-Game, OPPO F11 Pro is it. With improved in-game performance especially for things like parachuting, team fighting, scope aiming and complex controlling, it delivers on its promise. With a high game frame rate and an improved hyper boost performance, you never have to worry about that dreaded lag when you open, load, or quit games. It even has above average sound optimisation, 3D sound effects, audio noise reduction and improved network performance of games. 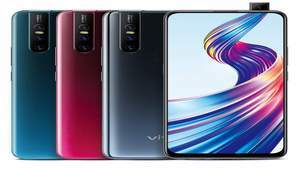 The OPPO F11 Pro has an interactive design that includes features like Game Space to get more information about the game at the earliest, Game Speech Enhancement for an immersive audio experience, a thermal gel to keep the CPU cool and finally cloud storage to sync all your photos, contacts, and videos. Rest assured, you will not miss out on anything! Ultra Night Mode means an exclusive set of mechanics and software come together to ensure high-quality photos even with low light. The ultra-clear engine applies image stabilization for long exposure times while enhancing skin tone in low-light conditions so photos are brighter and look more natural. The Dazzle Color mode ensures that the photos have more vivid colours, distinct layers and improves the natural look of your face. And with five new customized premium portrait styles, we think high-end portraits and #selfie happy photographers will have enough to keep themselves busy. Everyone’s dream comes true! The FFC algorithm and VOOC Flash Charge 3.0 make it possible for high-speed charging - that means less time plugged in and more game time for the win! 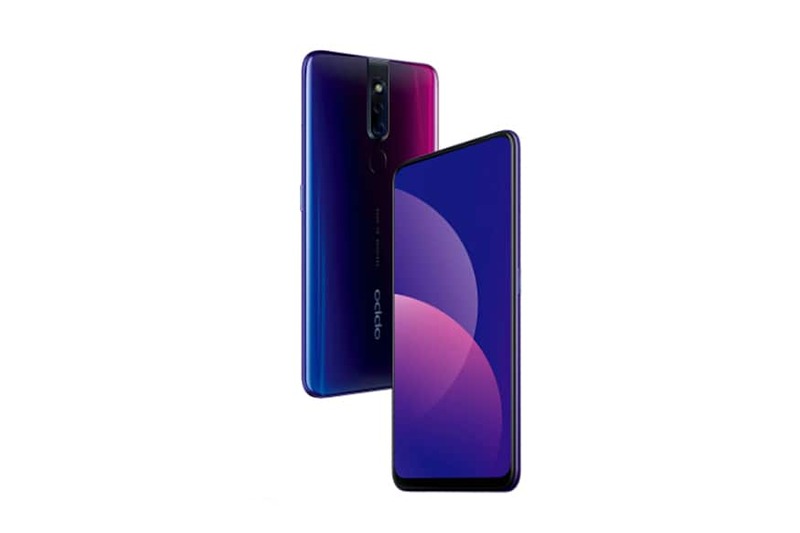 The OPPO F11 Pro comes with new software called ColorOS 6.0 and is among the first to run a UI based on Android 9 Pie. Apart from accent and theme settings, the ColorOS 6.0 has a powerful cloud service package, drawer mode, simple navigation signals, riding mode and an extremely efficient smart- assistant. With a rising camera that slides back in should you accidentally drop it and a number of other features that we’ve probably only ever seen in sci-fi films, it isn’t hard to see what makes OPPO F11 Pro the undisputed king of this segment at just Rs 24990.